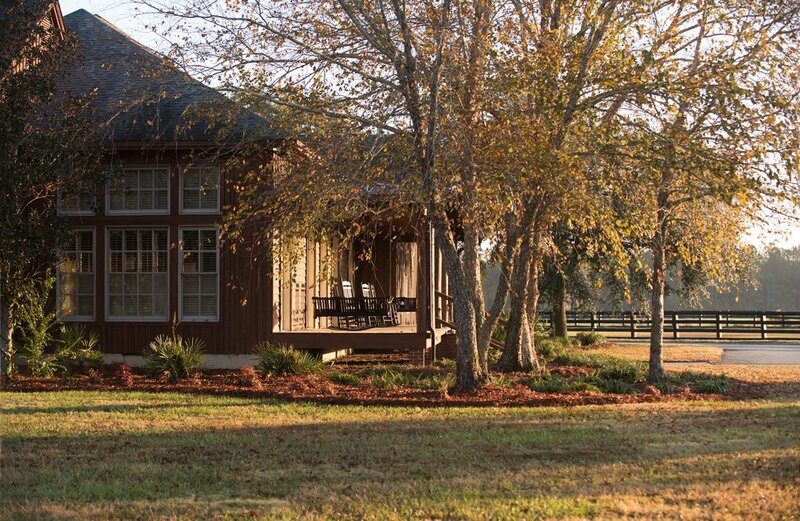 Wondering around the beautiful grounds surrounding the main Lodge and Bunkhouse, you will no doubt take notice some of the other birds and animals that reside at Shadow Oak Plantation. Providing a mini safari for photography enthusiasts or non hunting guests, the collection of Butch’s exotics includes Peacocks, Ostrich, Emu, Zebras, Blackbuck Antelope, Ankole Watusi cattle, Buffalo, Fallow and Red Deer! The flightless Ostrich is the world’s largest bird native to the dry African savanna and desert lands where they roam getting water primarily from plants they eat. They are strong and fast runners, able to sprint up to 43 mph and travel over long distances at 31 mph. Their long powerful legs can cover 10 to 16 feet in one stride and are formidable weapons when needed. Each of their two-toed feet has a long, sharp claw. If endangered, an Ostrich’s kick can kill a potential predator like a lion. Ostriches live in small herds of fewer than a dozen birds with the dominant male maintaining the herd and mating with the herd’s dominant hen. They then take turns incubating all the giant eggs laid by all the hens. Ostriches do not, in fact, bury their heads in the sand. At the approach of danger, in an attempt to go unseen, they may lie low and press their long necks to the ground making them appear headless. Typically they eat plants, roots, and seeds but they also eat available insects, lizards, or other small creatures. Peacocks are actually the male in the species together with females (peahens) called Peafowl and are large, colorful pheasants (usually blue and green) that are best known for their extraordinarily beautiful iridescent tail feathers. These tail feathers spread out in a distinctive fan that is more than 60 percent of the bird’s total body size. Each feather is accentuated by an eye-shaped marking of blue, gold, red, and other hues. The large train of feathers is used in mating rituals and courtship displays. It can be arched into a magnificent fan that reaches across the bird’s back and touches the ground on either side. Hens are believed to choose their mates based on the size, color, and quality of the male’s feather displays. Peahens lay between three to five eggs. In the wild peafowl often roost in forest trees and collect in groups called parties. Peafowl eat insects, plants, and even small rodents. There are two familiar species. The blue peafowl is native to India and Sri Lanka, while the green are native to Java and Myanmar (Burma). Peacock have been admired by humans and bred for their beautiful feather displays for thousands of years. The Emu, also flightless, is the second-largest living bird by height, after its relative, the Ostrich. It is native to Australia where its range covers most of the continent. They have soft brown feathers and long necks and legs. They often reach over 6 feet in height. 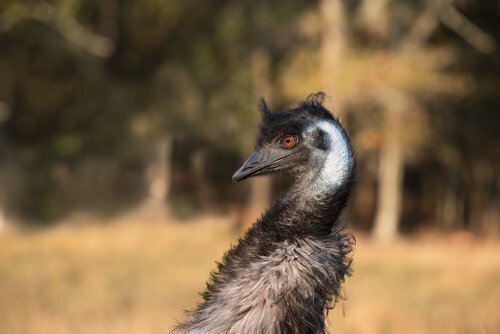 Emus can travel great distances, and when required, can sprint at 31 mph. They forage for a variety of plants and insects, but can go without eating for prolonged periods of time. They breed in the late spring and females are known to fight each other for desired males. They can mate several times and lay several clutches of eggs in a single season. The male Emu incubates the eggs; during which time he eats and drinks very little. After about eight weeks, the eggs hatch and the young are reared by the males. The young birds reach full size after around six months. No animal has a more distinctive coat than the Zebra — each with its own unique patterns of stripes. Like fingerprints, no two Zebras are identical, although each of the three species has its own general pattern. Many scientists agree with the theory that the zebra’s stripes acts as camouflage. The patterns, it is thought, makes it difficult for predators to identify a single animal from a herd and distorts their distance at dawn and dusk. Zebras are social animals that spend time in herds grazing together, primarily on grasses. Plains zebras are the most common of the species and live in small family herds of a male (stallion), several females (mares), and their young. 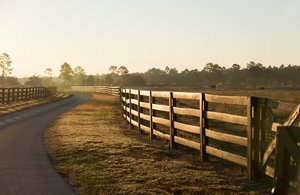 Small herds sometimes combine with others to create awe-inspiring herds thousands of head strong, but family members will remain close within the large herd. Zebras are constantly threatened by lions and hyenas. The herd has many alert eyes to detect the potential predators. If one Zebra is attacked, its family members will come to its defense, attempting to drive off the predators while encircling the wounded animal. Native to India and Pakistan, Blackbuck antelope are one of the smallest species of antelope. They are grazing animals that feed primarily on grasses, herbs and shrubs on open grasslands. Mature males and females differ greatly in their coloration. Males have V-shape corkscrew shaped horns with 1-4 tight spirals while female have horns that are thinner, smoother, and may grow in non-typical patterns. Some have horns at all. Males use horns to attract females and fighting for breeding rights during the rut. Males usually weigh from 70 -100 lbs, with females being slightly lighter. Blackbuck Antelope are clocked as one of the fastest animals in the world. Along with their excellent eye sight, their incredible speed provides protection against predators. When alarmed, the herd takes off in high leaps and bounds. Males fight for dominance during the rut and protect their territories from intrusion by competing males. Peak breeding seasons are from late summer to early fall and in the spring. Blackbuck does have a short gestation period of just 5 months allowing them to breed twice a year producing one but sometimes two young per year. Native to the Mediterranean region of Europe and Asia Minor, fallow deer are the most widely kept of the world’s deer and have been introduced to all inhabited continents. Only males (bucks) have antlers, which are broad and shovel-shaped from three year of age. For the first two years, the antler is a single spike. Males weigh between 130–220 lbs, females (does) 66–110 lbs. Fallow deer are grazing animals preferring open grassland or mixed woodland. Agile and fast, they can run at a maximum speed of 30 mph over short distances and jump up to nearly 6 feet high and up to 17 feet in length. Much variation occurs in the coat color of the species, with four main variants: common, menil, melanistic, and leucistic. The Fallow deer on Shadow Oak Plantation are of the menil variety. Their peak breeding activity takes place in October. During the rut, bucks mark off and defend their territory, known as a “stand,” from which other rutting males are kept out. Females remain within the male territories and as each doe comes into heat, she is followed until mating is accomplished. Following the rut, bucks gradually cease defending their territories and form “bachelor groups,” while does and young remain segregated in their own groups. The gestation period is approximately 7 1/2 months, with most fawning occurring from late May through June. Generally, only a single fawn is born, although twins are not uncommon. European Red Deer (or Red Stag) is the fourth-largest deer species after moose, elk and sambar deer and are closely related to American Elk, but are somewhat smaller. Both are members of the cervidae family of round-antlered deer. Red Deer inhabit most of Europe, the Caucasus Mountains region, Asia Minor, Iran, parts of western Asia, and central Asia. Subtle differences in appearance are noted between the various subspecies, primarily in their size and antlers. Only the stags have antlers, which start growing in the spring and are shed each year, usually at the end of winter. Antlers provide self-defense along with a strong front-leg kicking action performed by both sexes when attacked. The red deer is a ruminant, eating its food in two stages and having an even number of toes on each hoof. 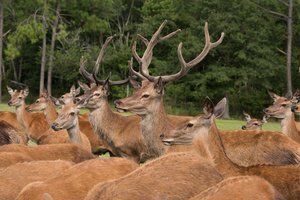 During the rutting season which takes place from the first of September to the middle of October, there are fierce fights between the males. A male will “bugle” during the rut, a warning call for other males to stay away from his harem. The “bugle” sound can be heard over a half-mile away and is a challenge to other stags commencing a rival roaring repeated for 10-20 minutes. If the rival is out-roared, he will usually back down, otherwise a fight between the two may ensue. After mating season, the stag sheds his antlers and joins the male herd. By their second autumn, females or hinds can produce one or sometimes two offspring a year. At two weeks of age, the calves are able to join the herd and are fully weaned after two months. Calves are born spotted, as is common with many deer species, and lose their spots by the end of their first summer.